Item 40 Patella Knee Strap Suitable for chondromalacia-patella condition. Pressure directed to the patella tendon, support for the straight movement of the patella. 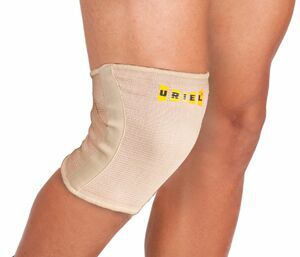 indicated for patellar pain and exertion relief. Useful as support brace for minor knee complaints. Use the product for the mentioned indication only. Do not use the product if you are allergic to one of its ingredients.